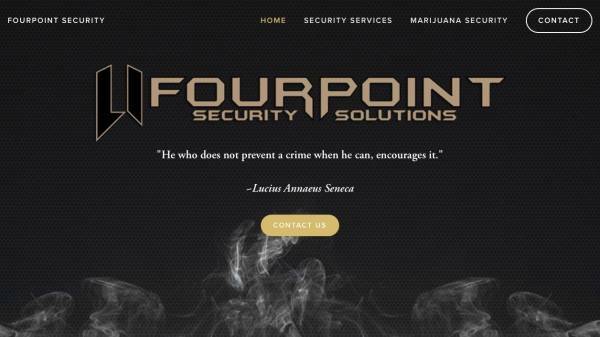 Fourpoint Security Solutions provides professional security services. When it comes to securing or protecting any asset or area of interest, our clients want nothing short of the best there is to offer. Maintaining a state of invulnerability is the most crucial part of our team’s service, because without it, security becomes obsolete. FOURPOINT Security Solutions is an industry leader in delivering experienced and specialized professionals to our clients. This ensures that the highest level of security and protection is always met to leave nothing but safety and peace of mind. The specialized approach to our security solutions are built upon assessing all risks to a site or operation. After accurately mitigating any possible risks and vulnerabilities, our trained team of professionals are integrated into the operation to successfully and pro-actively secure the premises. Low Stress Training Products LLC.